First Sentence: "I'm flattened and thrashing on the sun-warmed track next to the football field, lying on what looks like asphalt but what I realize now that I'm down here is actually that fake spongy stuff." Description: As a little girl, Daisy Appleby was killed in a school bus crash. Moments after the accident, she was brought back to life. A secret government agency has developed a drug called Revive that can bring people back from the dead, and Daisy Appleby, a test subject, has been Revived five times in fifteen years. Daisy takes extraordinary risks, knowing that she can beat death, but each new death also means a new name, a new city, and a new life. When she meets Matt McKean, Daisy begins to question the moral implications of Revive, and as she discovers the agency's true goals, she realizes she's at the center of something much larger — and more sinister — than she ever imagined. Revived by Cat Patrick started out superb for me. The first few chapters were incredibly intriguing and I found myself eagerly turning pages to discover what would happen next. Unfortunately, as the story progressed Revived lost it's magic and I lost the desire to read it. The main issue I had with Revived was the main character - Daisy. I genuinely wanted to like Daisy. She had an incredible backing story and a great deal of potential. However, the reality of the situation was that the farther I got into the book, the less I liked her character. It all started out with her relationship with Matt. Daisy moved way too quickly in her relationship with Matt. After talking to him once she was literally obsessed with him. She's constantly mooning over him and telling the reader that he's the bees knees, when she has literally exchanged about 20 words with him. This is one of my biggest pet peeves in young adult literature. I get that teenagers are rather rash with their emotions, believe me, I do. But I cannot help but roll my eyes and cringe when a "romance" develops this quickly. In a flash, I know what I didn't know before: his words are more than flattering; they're the answer to the questions I've been asking myself for days. Does he like me as much as I like him? Now I know. I have the answer. Really Dais? You're going to trust this person, that you hardly know, with life threatening information? And that's all the consideration you put into it? Well to be fair, she has thought about it for days. And he seems to like her back. Long story short, I struggled backing the decisions Daisy made. She didn't seem to think things through and that is a big pet peeve of mine. I hate when characters make snap decisions and do not consider the consequences. She was constantly putting her foot in her mouth and placing herself in sticky situations. She cannot see past her own nose and is incredibly careless with herself and the people around her. I mean, honestly. This girl has died 5 times at the age of 15. How does that happen you ask? Easy - she has no common sense whatsoever. It really disappointed me that I didn't like her because it sort of ruined the whole experience for me. 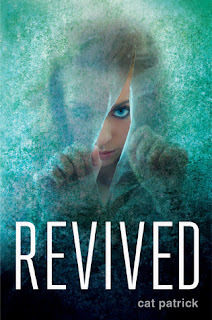 Revived had so much potential and I loved the concept. Unfortunately it didn't pan out for me. 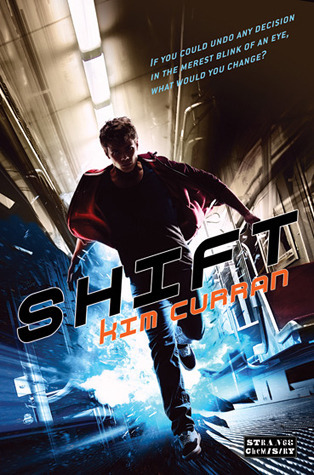 I was really expecting more of the story to revolve around the science fiction aspect, not a flimsy romance. I went into Revived expecting action, excitement and danger and that just did not happen. Like an owl in the night, I search wide-eyed for movement inside the house, but the windows stay dark; the night stays still. Oh my gosh, yes. It really drove me crazy the flippant way she treated such an enormous secret, and her ridiculous, immediate crush got on my nerves as well. Only got 2 stars from me, too.